Waiting times for nursing home funding have doubled over three months according to new figures from Nursing Home Ireland. The number of people on the waiting list further increased by more than 500 over three months. This can leave families with a bill of up to €15,000 (more than $25,000) before any funding is received. The Fair Deal scheme was introduced five years ago to provide state financial support for nursing home costs and it is feared the long waiting times could be putting older people's health and quality of life at risk. "Priority should be given to dealing with the Fair Deal waiting list crisis and care options for older people in the local community," said Danette Connolly, Director of Care, Home Instead Senior Care Waterford. 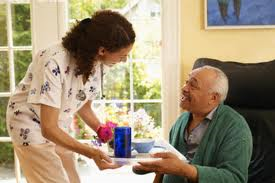 "We need a policy that favors home and community-based care in addition to institutional care. Older people are suffering and missing out on needed care as a result of this waiting list crisis." "We are receiving more home care inquiries as a result of the long wait for nursing home care. Older people and their families are struggling to cope and are in need of more help than is currently being provided by the Fair Deal Scheme", she added. Click here to read the full Waterford Today article.